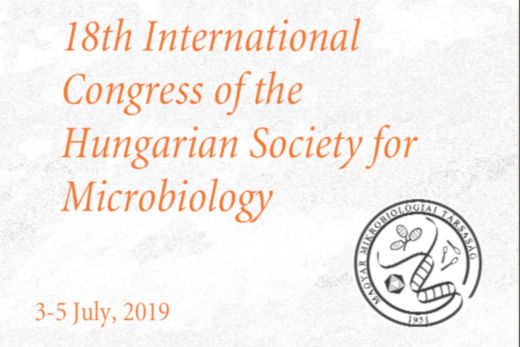 The Hungarian Society for Microbiology organizes its every second Annual Meetings as international scientific events. Two years ago the 5th Central European Forum for Microbiology (CEFORM; coorganized with the Croatian Microbiological Society) attracted participants from several European countries. We hope that our 18th International Congress will appeal to even more Colleagues than the previous ones and will be a superb meeting in the beautiful city of Budapest. The official language of the Congress is English. The programme will cover all major branches of microbiology and will include invited plenary and semiplenary lectures (20+10 min), lectures (10 + 5 min), and poster sessions. We are looking forward to see you at the Congress (venue: Eötvös Loránd University Convention Centre, Budapest XI., Pázmány Péter sétány 1.) and we hope that you will find it a stimulating scientific event and happy personal experience. Find more information in first circular.